Since I have baking for quite a while, now at least I know how to mix and match with the overstock in my kitchen, I got this idea to bake mango yogurt muffin when I try to figure out as how to finish up the excess stock of mangoes and soon to expire yogurt. 1. Beat butter, salt and sugar till pale and creamy. 2. Add egg one at a time, mix well. 4. Add in chopped mango, and lightly mix well. 5. 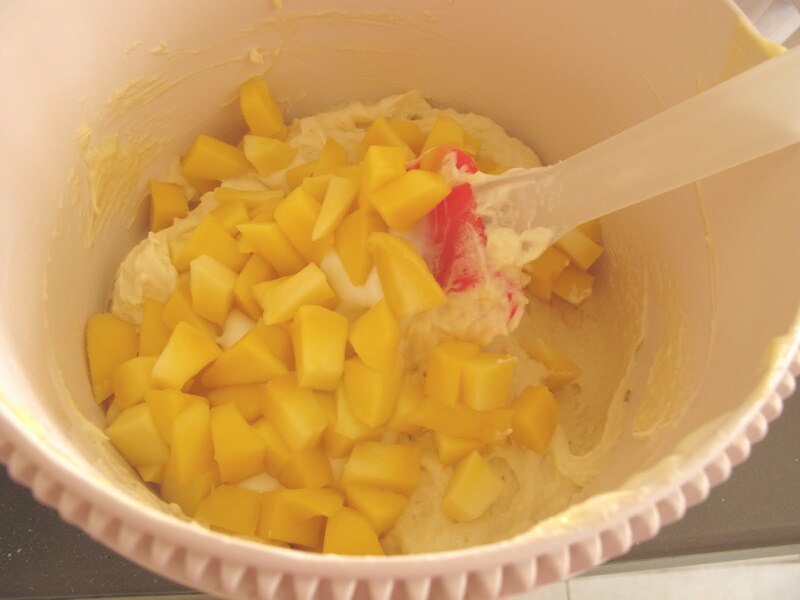 Spoon batter into a muffin pan, sprinkle some chopped mango on top. 6. Bake at preheated oven 180c for 25mins or till golden brown. yummy. looks so tempting. they have come out so well. U are correct, once u are an expert in baking u can mix and match according to ur needs. Really a good one. Looks soft and fluffy. I've never used mangoes in baking...it really is something I must try...You muffins look fantastic! Ya, indeed these muffins indeed look soft and yummy with fresh manges added in. hello how r u..you are always welcome to our place. what a great idea ! nice muffin & looks so delicious . 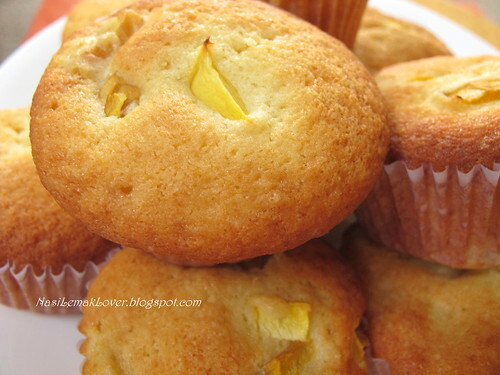 Fruits muffin is really appetizing including these mango muffins! I have just baked some banana cupcakes to clear my over riped bananas! Mangoes will definitely not be overstocked in my house, we always finished it without the day itself. 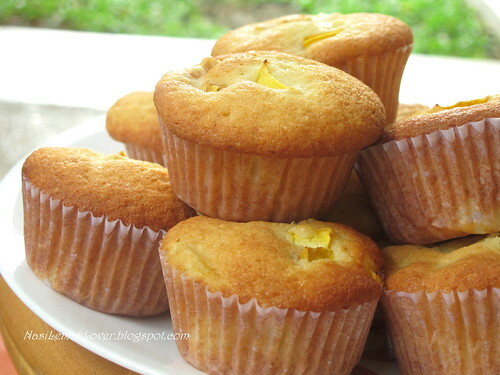 These mango muffins of yours look really soft and fluffy. They do look yummy. Yes, we can always mix and match with whatever fruits we have. Put nothing to waste! I've seen so many people bake with mango but I never try it before. This is a great way to finish up the over-ripe mangoes. Your mango muffins look really nice and soft. sonia, the mango will melt after bake? cos i wonder can i cut it smaller so tat my kids wont feel tat so much as my gal dun like fruits, it is a good way to let her taste also. 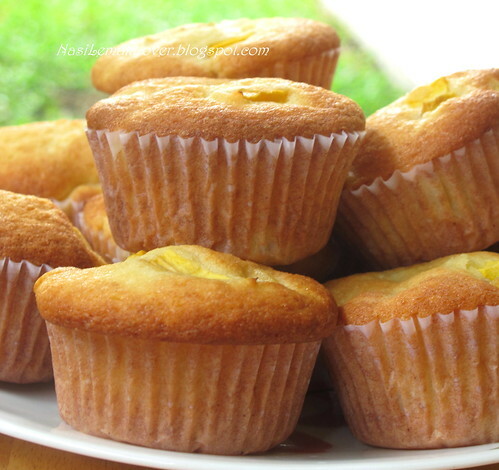 Mango muffins rock. Have you ever tried with Mango Puree? I have incorporated Mango Puree and added berries once as an experiment and it came out very well..
Fluffy in the outside and creamy in the inside.....ooooo, can imagine when hot out from the oven! Bright, cheerful and delicious! Love the muffin recipe Sonia. These look delicious! Definitely going to make these soon, especially with mangoes so cheap now. I haven't had any mango muffin before....they must taste heavenly! I love to bake with fresh fruits and these little muffins looks so scrumptious! Hope you're having a nice day! This look SO YUMMY!! Thanks for sharing! Dear all, thanks for your lovely comments. Penny, yes, the mango will melt after bake, dont worry you can cut a bit big. Jen, Thanks for stopping by, look like you had a long and fun vacation, welcome back. Amazing food and blog. I'm impressed at your ability to cook as much as you do and blog. Sonia, for Step 3 "Sift in flour, baking powder and baking soda, add in yogurt, combine well." 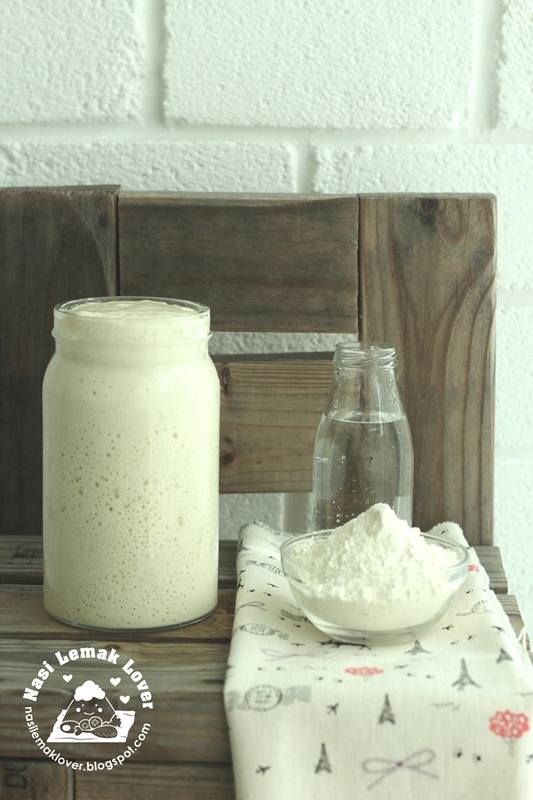 Do you mix until the flour is just incorporated (no more traces of flour, may be lumpy) or do you mix until the batter is smooth and lump-free? And for the flour addition, do you use the beater/whisk/spatula? Hanushi, just mix step 3 till incorporate and well combine will do. I use spatula to mix. The Rs, yes you can replaced with plain flour. just baked this and it is sooo soft and yummy! love it.... thanks for sharing the recipe! My mum love this mango muffin and during her coming birthday I would like to make into a birthday cake. should I double the recipe if im using round 8 inch pan? Huiqi, yes, double the recipe.